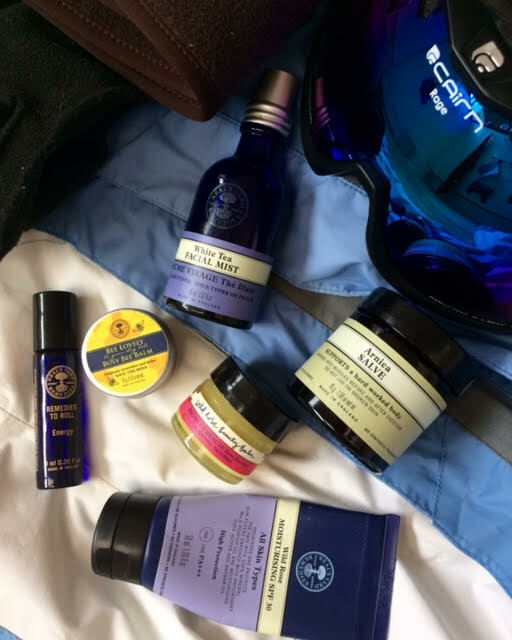 If you’re planning on hitting the piste this winter season, don’t leave without these ski essentials from Neal’s Yard Remedies Organic. Arnica salve This has got to be at the top of the list for essentials when skiing/snowboarding. We all use muscles that we don’t normally exercise when we go skiing! A full day skiing can take its toll on the quads, knees, shins (if you’re not used to your boots) and feet. This Arnica Salve comes in a easily-packable sized pot and is great for rubbing into those tired and weary muscles and joints to increase blood circulation, reduce inflammation and help ease out bruising, aches and pains. Why not also look at the Warming Salve which is great for rubbing into your joints and muscles before heading out onto the piste after breakfast? Or the Arnica and Seaweed Foam Bath for a luxurious soak afterwards. To learn more about the Power of Arnica please read my other blog post here. 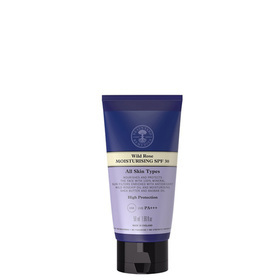 Wild Rose Moisturing SPF 30 Stay beautifully protected, nourished and nurtured in the winter sun with this organic, high level broad spectrum UVA/UVB protection. This natural moisturiser contains natural non-nano mineral filters, blended with antioxidant radiance-boosting organic wild rosehip oil, deeply nourishing organic shea butter and baobab oil. Together they protect, nurture and moisturise the skin. It is also free from harsh chemical filters, nano particles and synthetic fragrances. 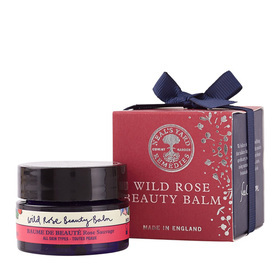 This award-winning Wild Rose Beauty Balm can be used as a rich cleanser, gentle exfoliant or deeply nourishing balm/moisturiser – to quench areas of dry or dehydrated skin. The exceptionally high levels of wild rosehip oil – a potent antioxidant proven to help repair, firm and smooth the skin – are combined with geranium, starflower, hemp and rosemary oil, to help decongest and enrich the skin, restoring its natural radiance. This pot is ideal for packing in your suitcase: it is a cleanser, mask and moisturiser all in one so you can travel lightly! The smaller 15g pot is also small enough to fit into hand luggage. Nourishes and softens your lips on the slopes with moisturising cocoa butter and beeswax. It is gentle enough for the whole family (aged 3 years and over) so great if you’re taking your little ones with you too. 3% of sales goes to charities that help Save the Bees. This blend of rosemary, lavender and grapefruit essential oils applied to the pulse points can help to stimulate and boost the body and mind to overcome tiredness for that much-needed pick-me-up we all need when out on the slopes all day. Comes in a little roller-ball bottle ideal for popping in your pocket. This is a gentle facial mist to calm, refresh and rehydrate the skin – ideal for a quick, cooling spritz after lunch. Infused with antioxidant white tea, calming organic aloe vera, aromatherapeutic organic essential oils and soothing Bach Flower Remedies. This will help the face recover quickly from any sun exposure, or dryness caused from cold winds. You can also use it as a toner so no need to pack your big bottle, and travel lightly! And while I’m talking about travelling lightly – how about looking at these wonderful skincare kits which come in travel-sized pots ideal for hand luggage.